Posted by John Ruby in Overview, Troubleshooting & Knowledge Bases. This checkbox is used to enable and disable VMQ. Select the check box to enable VMQ for those virtual machines with the heaviest network load and clear the check box to disable VMQ for other virtual machines. The following links provide some additional insight into this check box and VMQ that I hope you will find useful. This topic explains how to create custom sign-in and sign-out pages for Outlook Web App. The Outlook Web App sign-in, language selection, and sign-out pages are created based on graphics and the logon.css file in the base theme folder. Therefore, to use custom sign-in and sign-out pages, you must modify the files in the base theme folder. You can find the base theme folder in the Exchange installation directory at \V14\Client Access\OWA\<version number>\themes\base. In Exchange Server 2010 SP1, the path is \V14\Client Access\OWA\<version number>\themes\resources. It is easiest to create a new look by using a solid color because the same collection of images is used for three pages: the sign-in page, the language selection page that is shown on the first sign-in per mailbox, and the sign-out page. The pages resize horizontally and vertically based on the contents of the page. 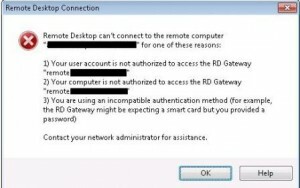 If you have multiple Client Access servers and want them all to use the same sign-in and sign-out pages, you must copy the modified sign-in and sign-out files to each Client Access server. You should also create a back-up copy of your customized files. If you reinstall or upgrade Exchange, all files in the themes folders will be overwritten. You’ll have to copy your customized files back to the appropriate theme folder after the reinstallation or upgrade is complete. Before you change the files to create custom sign-in and sign-out pages, back up copies of all the files that you’ll be changing before you start to create your custom sign-in and sign-out pages. The following figures illustrate the default Outlook Web App sign-in page as it appears if the user clicks show explanation and selects This is a private computer and Use the light version of Outlook Web App. One figure shows how the graphics files that create the page fit together. The other figure shows how the logon.css file determines the colors of the background and text on the sign-in page. The following figures illustrate the default Outlook Web App sign-out page. One figure shows how the graphic files that create the page fit together. The other shows how the logon.css file determines the colors of the background and text on the sign-out page. After you’ve opened the Outlook Web App sign-in or sign-out page in Microsoft Internet Explorer, you can test your changes without having to reset IIS or exit Internet Explorer. Open the Outlook Web App sign-in or sign-out page in Internet Explorer. On the toolbar, click Tools, and then click Internet Options. Click Refresh to see your changes. Repeat these steps to see your changes every time that you make a change to the sign-in or sign-out page files. If you’re making several changes, you can leave the sign-in or sign-out page open and repeat the steps to see your changes. You need to be assigned permissions before you can perform this procedure. To see what permissions you need, see the "Graphics editor" entry in the Client Access Permissions topic. To customize Outlook Web App, you can change the Outlook Web App logo on the sign-in and sign-out pages to your organization’s logo. Create copies of the files that you want to change, and then save them to a safe location so that you can restore the original pages, if it’s necessary. Open the lgntopl.gif file by using an image editing tool, and then modify it to create the logo that you want to use. Save your changes, and then click the Refresh button to see your changes. If you’ve changed the background color of lgntopl.gif, we recommend that you modify the remaining files that are used to create the sign-in and sign-out pages to match. You can edit the logon.css file to change font styles and some of the colors that are used on the pages. This includes the background color that’s behind the controls in the center of the sign-in page and the language selection page. If you’ve changed the color of these pages, we recommend that you change the background color to match. To change the background and font colors of the sign-in, language selection, and sign-out pages, you must find the values in the sign-in style sheet (logon.css) and then determine the HTML RGB values for the colors that you want to use. The HTML RGB color values are defined by a seven-character string in the format of the number sign (#) followed by a string of six characters. To find the HTML RGB values for many colors, see the Color Table in the MSDN Library. If you must match a specific color and you can’t find a match for the color online, you can use an image editing tool to sample a color and determine its HTML RGB value. To test your changes, open Internet Explorer and enter the URL for Outlook Web App. If you’re testing the changes to the Default Web site on the Client Access server that is hosting the Outlook Web App virtual directory, you can test them by opening Internet Explorer and entering the URL https://localhost/owa. The language selection page appears only the first time that a user signs in to Outlook Web App. The following table lists the elements of the sign-in and sign-out pages and a description for each element. The background color of the Web browser window. This controls the color of the window that borders the sign-in and sign-out pages. The background color of the sign-in and sign-out pages. If you change the background color of the graphics files, you should change the background color to match. The color of the warning text that appears when a user selects This is a private computer. On the existing Outlook Web App sign-in page, this warning text is orange and stands out well against the white background. If you change the background color of the sign-in page, you may also want to change the color of the warning text so that it’s readable. The primary text color is black. It indicates options that can be selected and entry fields on the Outlook Web App sign-in page. Examples include the labels for the user name and password fields, and the text next to the security options. If you’ve chosen a light color for your sign-in pages, black will still work well for this text. Link on the sign-in page that a user can click to show or hide the explanation of Private and Public sign-ins. The color of the text that appears when the user clicks show explanation. 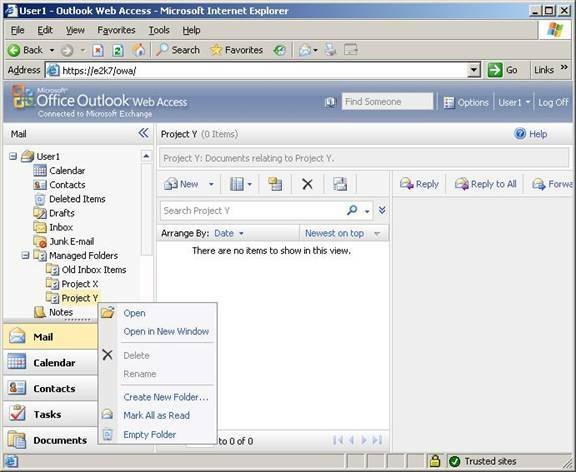 When a user selects Use the light version of Outlook Web App, a short explanation about the light version of Outlook Web App is displayed. After you’ve decided which elements you want to change the color of and identified the HTML RGB color values that you’ll be changing those elements to, use the following procedure to change the color of any element that is defined by a .css file. Use the table of sign-in and sign-out page elements included earlier in this topic to find the string that matches the element that you want to change. Replace the HTML RGB color value of the element that you want to change with the new HTML RGB color value that you want to use for that element. Save your changes and close logon.css. Test your changes by opening Internet Explorer and entering the URL for the Outlook Web App sign-in page. If you’ve already opened the Outlook Web App sign-in URL, you can test your changes by deleting the temporary Internet files and refreshing Internet Explorer. To do this, click Tools, and then click Internet Options. On the General tab, under Browsing history, click Delete. Under Temporary Internet Files, click Delete files, and then click Yes when you’re asked whether you’re sure that you want to delete all temporary Internet Explorer files Click OK to close Internet Options, and then press F5 to refresh the sign-in page. One major new feature of Exchange 2007 is that of Messaging Records Management (MRM). The main principle behind MRM is that it helps an organization with its legal compliance requirements, something that previous versions of Exchange aren’t particularly good at. It does this by placing the onus on the user to categorize their messages, leading to these messages being retained where appropriate. Obsolete messages are then removed. Sounds simple enough? In truth it is, although there are a few processes to understand and some terminology to become familiar with. As I just mentioned, with MRM users are able to categorize their own messages and ensure that these messages are retained. Where are they retained? One of the key components of MRM is a managed folder. There are actually two types of managed folder, namely managed default folders and managed custom folders. 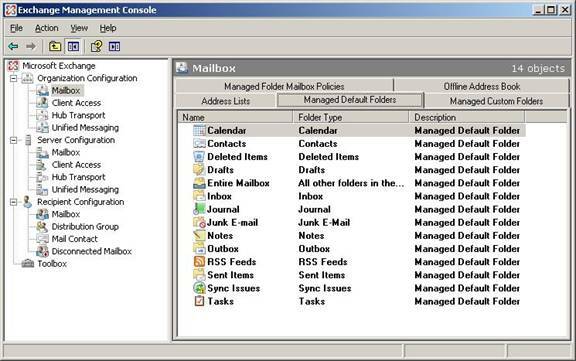 Managed default folders are based on folder names that already exist within users’ mailboxes, such as the Inbox or Sent Items, whilst managed custom folders are created by the Exchange administrators and are essentially additional folders seen within users’ mailboxes. They can be seen via Outlook and OWA and typically they cannot be deleted, renamed or moved. For example, Figure 1 shows how managed folders appear within the OWA client. Notice how, when right-clicking the folders, that the options to delete or rename the folders are dimmed. We’ll cover how you create these managed folders and how to set the retention settings as we go through this article. The important point to take away at the moment is that it’s the users that classify their messages, placing them into the appropriate managed folder either manually or via rules. If messages are placed into managed folders for retention purposes, it follows that there must be a process for removing unwanted content. MRM gives us a way to control unwanted content based on age or message type. We’ll also cover that as we go through this article. Expand the Organization Configuration node and then click Mailbox. In the result pane, select the Managed Default Folders tab. To view this information via the Exchange Management Shell (EMS), the relevant cmdlet is Get-ManagedFolder. This is shown in Figure 3. 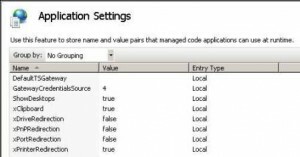 For the remainder of this article, let’s look at the first two steps of the five required to deploying MRM. In part two of this article, I’ll cover the remaining three steps. 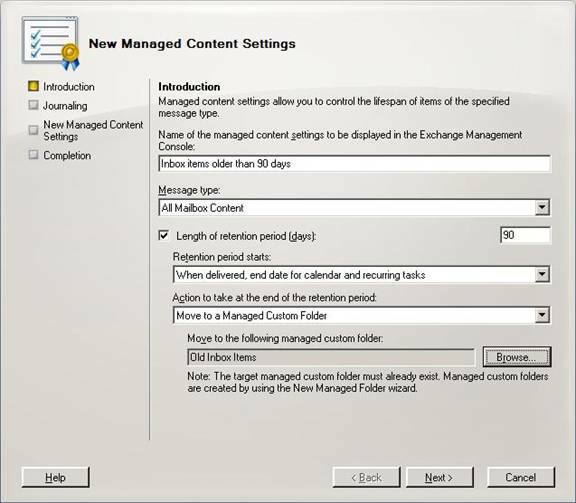 Managed default folders are created automatically when Exchange 2007 is installed, although you can choose to create additional managed default folders if you wish. Creating managed custom folders is really easy, both via the EMC and via the EMS. Let’s go through the process of creating some sample managed folders and content settings as follows. Don’t forget, these are just sample folders to give you an idea of the process; they probably wouldn’t mean much in the real world! Check users’ Inbox folders for items older than 90 days. Once found, these items are placed into a managed custom folder called Old Inbox Items where they are retained for a further 180 days. Create managed custom folders that store documents for two different projects, namely Project X and Project Y. These documents are stored for 365 days. Either right-click the Mailbox object and choose the New Managed Custom Folder… option, or choose the same option from the Action pane. The New Managed Custom Folder wizard appears which consists of the screen that you see now, plus the Completion screen. The first screen is shown below in Figure 4. The Name field is the name of the managed custom folder as seen within the EMC and EMS. The Display the following name… field is the name that users see within Outlook and OWA. This field is automatically populated with the same information that you type into the Name field, but you can change this field if you like. In my case, I’ve set both of these fields to Old Inbox Items. There is an optional size limit that you can set on this managed custom folder. In my case, I set this to 1024KB meaning that each user gets allocated 1MB to this managed custom folder. This is obviously too low to be meaningful, as I entered this value to make it easy for me to simulate what happens when the storage limit is exceeded. There is an optional field to enter descriptive information that is shown to the users within Outlook or OWA. Figure 5 gives an example of how this looks to the users in OWA, coupled with how the storage limit allocation is progressing. Finally, there is an option to prevent users from minimizing the descriptive information in Outlook or OWA. I’ve then repeated the above series of steps to create the Project X and Project Y managed custom folders. Incidentally, since I’ve mentioned the fact that you can set storage limits on the folders, you may be wondering what happens if you exceed these limits. Figure 6 shows you how the storage limit allocation comment looks when you’ve exceeded your limit. Figure 7 shows you the warning message you receive when attempting to add additional items to the folder that has exceeded the limit. These are how the messages are seen in the OWA client. Select the Managed Default Folders tab and you will now see the managed default folders list as shown above in Figure 2. Highlight the Inbox managed default folder and then either right-click it and choose the New Managed Content Settings… option, or choose the same option from the Action pane. In the Name of the managed content settings… field, enter a meaningful name that will be seen in both the EMC and EMS. I’ve chosen to enter ‘Inbox items older than 90 days’. In the Message type drop-down list, choose the type of items that will be affected. Choices are All Mailbox Content, Calendar Items, Contacts, Documents, Faxes, Journal Items, Meeting Requests Responses and Cancellations, Missed Calls, Notes, Posts, RSS Items, Tasks and Voicemail. Since I want everything older than 90 days to be affected, I’ve chosen All Mailbox Content. We require message retention to be set, so the Length of retention period (days) check box is selected and a value of 90 added. Since the above option has just been selected, it’s now possible to configure when the retention period starts. I’m interested in ensuring that the retention period starts when the messages are delivered, so I’ve left it at the default option. The other option is When item is moved to the folder. It’s now also possible to specify the Action to take at the end of the retention period. I’ve chosen the Move to a Managed Custom Folder option, clicked the Browse… button and then selected the Old Inbox Items managed custom folder previously created. The other options here are Move to the Deleted Items folder, Delete and Allow Recovery, Permanently Delete and Mark as Past Retention Limit. Once completed, this screen looks like the one shown in Figure 8. Clicking the Next button takes you to the Journaling screen, where it’s possible to forward copies to an alternative address. It’s possible to pick any type of mail-enabled recipient here, such as a mailbox, distribution list or contact. I’ve not selected this option in this example. Clicking Next takes you to a configuration summary screen, followed by the Completion screen that once again shows you the EMS command to create this configuration via PowerShell. It’s worth bearing in mind that once you’ve created your managed content settings, they appear below the relevant folder they are associated with as shown in Figure 9. Once again, the Action pane has been removed for clarity. I’ve then proceeded to create additional managed content settings for the Old Inbox Items, Project X and Project Y managed custom folders. 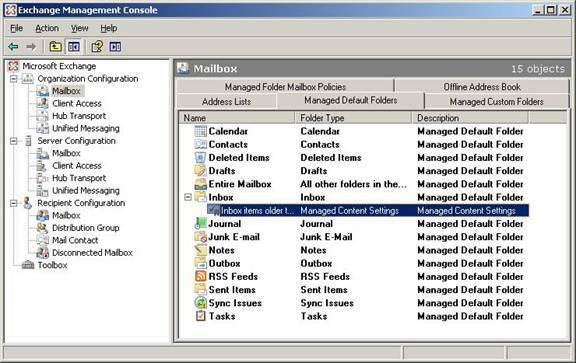 The ‘Old inbox items older than 180 days’ managed content settings configuration applies to all folder content and permanently deletes all items in the Old Inbox Items folder that are older than 180 days, whilst the ‘Documents relating to Project X’ and ‘Documents Relating to Project Y’ managed content settings apply only to documents and delete items older than 365 days. As you can see, things are flexible to suit your needs. I want to close part one of this article by drawing your attention to the Entire Mailbox managed default folder that you may have noticed in Figure 9. 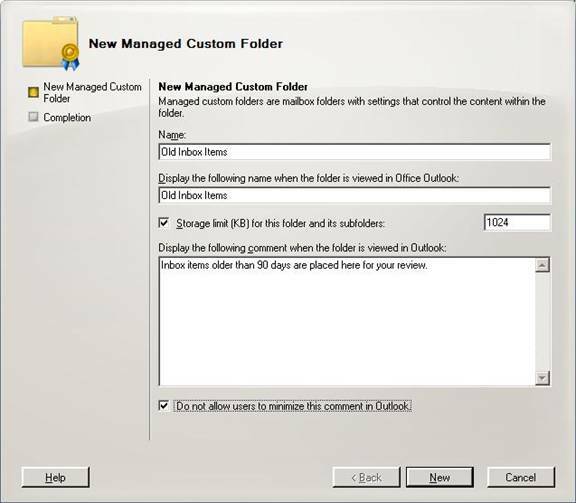 This can be used to apply managed content settings to all folders within a user’s mailbox, although managed custom folders and managed default folders already linked to a managed folder mailbox policy are excluded. I’ll be covering managed folder mailbox policies in part two of this article. Scenario: You have a Managed Folder Mailbox Policy called Policy-DeletedItems90Days. The policy has Managed Content Settings to permanently delete items in the Deleted Items folder after 90 days. You can easily apply this Managed Folder Mailbox Policy to a single user using the Exchange console, as shown in Figure 1. How do we apply this to more than one user? By using the Get-Mailbox command to fetch a bunch of mailboxes — either all mailboxes in the Organization, or all mailboxes in a particular Organizational Unit (OU), or all (mailbox-enabled) users who are members of a particular distribution group, or by filtering mailboxes based on other user parameters. The mailboxes returned can then be piped to the Set-Mailbox command. You can avoid it by simply using -Confirm:$false in the command. 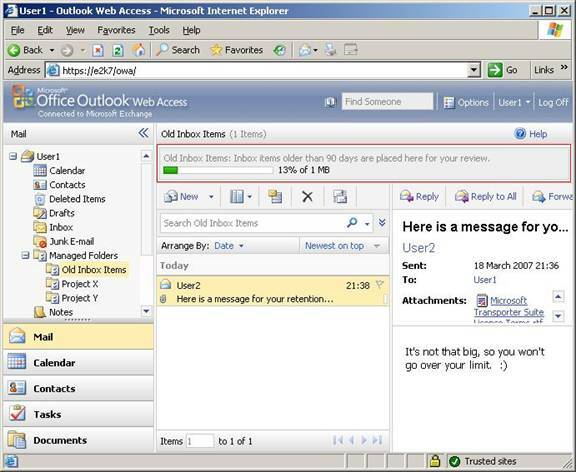 When assigning a managed folder mailbox policy with managed custom folders to the mailbox “exchangepedia.com/People/foo user1″, Outlook clients older than Outlook 2007 do not have all available client features and clients older than Outlook 2003 SP2 are not supported. You may use the “Set-CASMailbox” task to enable client version blocking. Are you sure you want to assign a managed folder mailbox policy to this mailbox? Why not use LDAP filters? That’s fine, you say, but you really liked the Exchange 2003 way of applying a Recipient Policy, using LDAP filters. It allowed you to use pretty much any attribute you chose to filter on. In Exchange 2007, there’s no built-in way of using LDAP filters to apply a policy. Having said that, it’s not such a great idea to apply message retention policies based on an LDAP filter, or at least not in a manner similar to Exchange 2003. For instance, if you’re using a particular attribute to filter on, such as department, or group membership, simply changing the attribute or group membership could change when and how a mailbox user’s messages are retained or purged. If you have multiple overlapping Recipient Policies, at times it’s difficult to determine which policy is applicable to a user. The automation is provided by PowerShell. Of course, you can simulate Exchange 2003′s Recipient Policy behavior by using an OPATH filter with the Get-Mailbox cmdlet. (However, if you still need to use an LDAP filter, Nick Smith shows you how in Applying Managed Folder Mailbox Policies via LDAP Filters). 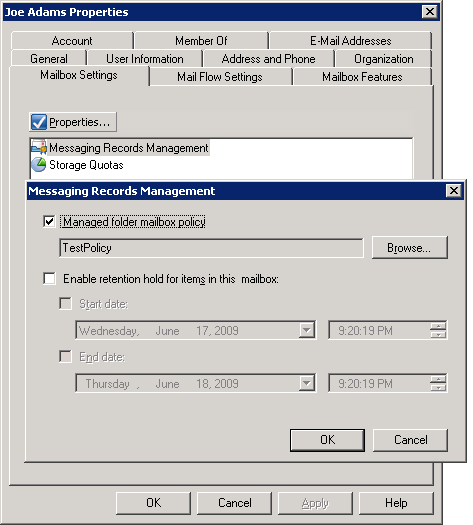 In Exchange 2003 Mailbox Manager Policies could be applied to subsets of mailboxes using LDAP filters the same way Recipient Policies were applied. In Exchange 2007 this behavior changed. Mailbox Manager Policies are now called Managed Folder Mailbox Polices and they are assigned on a per user level. This new methodology allows more granularity and eliminates some of the confusion about which policy is being applied. This function will search your current domain for user accounts that match the supplied LDAP filter. For each user returned, the account is checked to ensure that the mailbox is hosted on an Exchange 2007 server and will set the Managed Folder Mailbox Policy as desired. Combining with the LDAP filters you have already created for your existing Mailbox Manager Policies, you can easily write a script to apply the appropriate policies via filters. Apply-FilteredManagedFolderMailboxPolicies "(&(&(&(& (mailnickname=*) (| (&(objectCategory=person)(objectClass=user)(|(homeMDB=*)(msExchHomeServerName=*))) )))(objectCategory=user)(memberOf=CN=Delete After 180 Days,CN=Users,DC=domain,DC=com)))" "180 day policy"
When writing the script, remember that the precedence of your policies should be lowest to highest. The first policy you should apply should be your default policy (or $null if you don’t want one) and the last policy should be your most restrictive filter with the highest precedence. In this example, the default action is to no assign policy. The “180 day policy” is applied to the members of the "Delete After 180 Days" group. When using groups to apply policies it is important to remember that there must be a default policy in your script so that once a user is removed from the defined group, the existing policy applied will be updated to the default policy. To get the LDAP filters used with existing Mailbox Manager policies simply open the policy and copy the text in the Filter Rules: textbox. Paste this filter encompassed in quotes into your script and you will be good to go. If you want to manually create your own LDAP search string you can use the information at Creating an LDAP Search String to get you started. To ensure user policies are updated correctly based upon the filters, you must schedule this script to run sometime before the Managed Folder Assistant runs on the servers. Therefore is the assistant runs daily at 5am, the script should run daily at 3am.